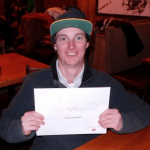 NothinButSnow offers a selection of premium snowboard instructor courses for any aspiring snowboard instructor. Our extremely fun and rewarding snowboard instructor courses in Canada are the perfect choice for you to dip your toes in to one of the most exciting lifestyle career choices on earth. You will have the ability to enjoy untouched powder and bright sunshine each day, whilst learning how to ride effortlessly. Mix in the truly unbreakable lifelong friendships you will make along the way and you are setting yourself up for a winter experience unlike any other. If you wanted to become an instructor in the quickest time possible then our 4 week level 1 course is for you. This course will improve your snowboarding ability whilst teaching you all the necessary skills to qualify as a CASI level 1 instructor. If you have a bit more time on your hands and wanted to spend the season with us and why wouldn’t you, check out our 12 week CASI level 1 & 2 snowboard instructor courses. You will be amazed at after 12 weeks how good you have become. It truly is unbelievable how confident you will feel on a snowboard. This season long course will teach you to a level 2 advanced standard in snowboarding and allow you to take home an internationally recognised qualification. 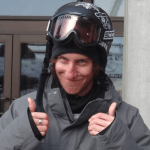 NothinButSnow’s 4 week snowboard instructor short course is a must if you want to drastically improve your riding over a shorter period of time. With a strong focus on your personal riding ability, you will quickly shake off any bad habits and be riding like a pro. This short course has a fantastic social side with planned nights out and events to attend during your stay. Even after a hard day on the hill you will be hard pressed to find someone who doesn’t fancy a relaxing drink. You train all week and have the weekends free to do whatever you desire. Be that relaxing in your fabulous accommodation and soaking those aching muscles in the hot tub or snowboarding some more with friends. There is plenty to keep you occupied and you will have the time to do any one of the number of activities that are on offer. 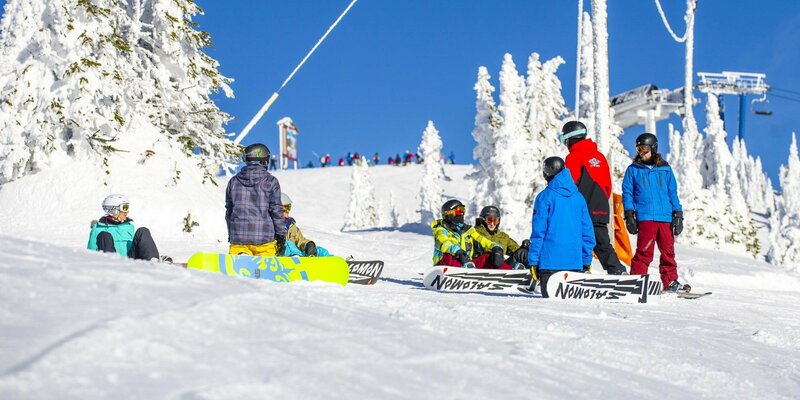 Our 4 week snowboard instructor course at Big White is truly an incredible way to spend 4 weeks in the mountains. It’s time to rocket you from an average snowboarder to an out of this world pro in one winter season. This season long snowboard course will train you to achieve both CASI Level 1 and level 2 certifications, enabling you the opportunity to work as a snowboard instructor around the world. Everyday is geared up with new challenges that are designed to push you and drive your ability to unchartered territory. You will become more efficient on your snowboard allowing you to tackle the most extreme terrain. Training with your instructor 5 hours per day 5 days per week crafting your skills across the entire mountain. NothinButSnow coaches will work on every aspect of snowboarding, ensuring you get the most well rounded education on snow. Through our highly successful training schedule, trees, bumps, freestyle, powder and off piste are all on the menu for you to devour. You will learn how to efficiently ride all types of terrain in a fun environment revolving around plenty of on snow mileage and no classroom time! This is practical and fun learning. There is nothing quite like spending an entire season shredding fresh pow with a bunch of friends and returning home from your epic adventure with a snowboard qualification in your hand, trust us! Off snow our reps will be entertaining you throughout your stay with a social event laden schedule. You decide what tickles your fancy and choose to participate in fun extras or relax at home in your hot tub. If you already have your CASI Level 1 and you want to get that globally recognised Level 2, then our 8 week course is designed for you. Build upon your level 1 certification by following this dedicated level 2 training programme. Develop both your snowboarding and teaching skills to an advanced level with our fantastic team of pros. We will up the ante taking you outside of your comfort zone to ensure fun and fast progression. Enjoy dedicated days of bumps and off piste powder riding to further your ability, whilst understanding how terrain can be such an untapped tool for rider improvement. Just so you know, this can be extended to 12 weeks if you wish, so please contact a member of the team to find out more. The next step is here! If you wish to venture further in to the instructor game or simply want the best and most comprehensive training on snow, then look no further. If you are looking to increase your chances of getting hired or simply want the best training money can buy you have come to the right place. Over the 12 weeks you will be under the watchful eye of Level 4 instructors and level 3 evaluators. You will be training with them all day every day to ensure you meet all the necessary criteria for the exam. There are three parts to the CASI Level 3. Teaching, riding and pedagogy. From previous levels you will already understand the process with the riding and teaching. For level 3 you are demanded to show an expert level in both areas. As for the pedagogy, this is being able to not just teach but to train individuals to become instructors. All our level 3 courses are fully comprehensive and include everything you need to be successful. If you have come through our programmes before you will know that we take care of everything for you and all you have to do is turn up and focus on that level 3. If you haven’t experienced our service and the quality we offer, then you have been missing out. Hear the stories straight from the people that have walked the path and enjoyed the ride, our previous students and now our friends and some our colleagues.